But Christyn Joy Patterson taught me to boss my heart. Scripture tells me that my heart is deceitful above all things. Right now my heart is shattered, and I feel as if I can't go on. I can't stop the tears. I am nauseated and shaking, trembling as if I have a fever, but I don't. I must ask our great Father to boss my heart, to align it with Truth. The Truth is that Chrissie's life was not cut one day short. God numbered her days before He ever knit her in her mother's womb, before He ever called our family to be Chrissie's forever family. God knew that on May 19, 2010, Christyn Joy Patterson would go Home. Chrissie's greatest wish was a mommy and a daddy, and God knew that even though we would only have a total of 7 months with Chrissie (6 of those not spent in PICU), that He would make sure that Chrissie did NOT die an orphan. God's Word tells the orphan in John 14:18 that He will not leave them as orphans, He will come to them. God kept His Word to Chrissie. God could have taken Chrissie Home with Him on any other day of the year, at any point in Chrissie's life, but she was not to die an orphan. 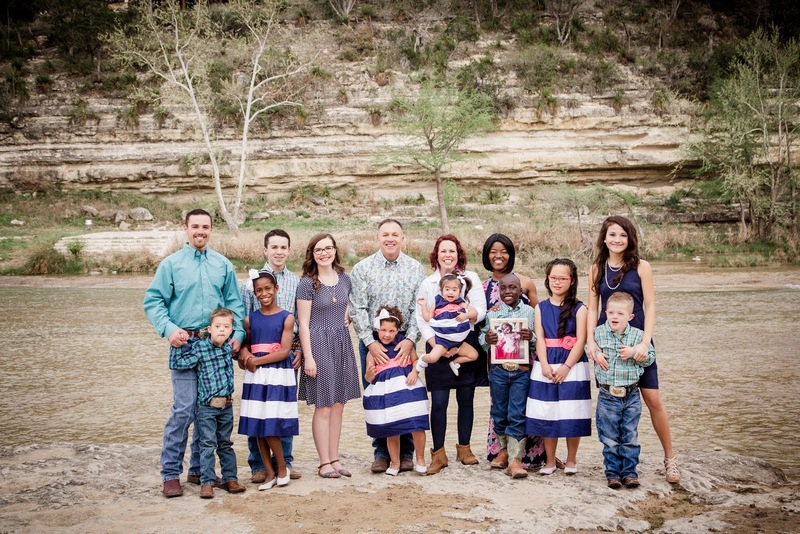 She was to experience the love of her forever family and die with her mother right beside her, which was Chrissie's biggest fear: "Momma no leave me." God chose a mom for Chrissie who would NEVER leave her side. I am humbled to have been that person, and it was my greatest pleasure in life to stay beside my daughter until the time of her Homecoming. While Chrissie's life may appear to have been too short, God knew that Chrissie would live to be 4 years 7 months and 11 days before she danced with Jesus. We could have chosen to postpone her surgery or not even do it at all, but we knew that was just as great of a risk as going forward with it. If we had not chosen surgery, Chrissie would have died in our arms at home on this very day. The difference would have been that most of you who are reading this would have never known our Serbian Sensation. She would have died a quiet death at home, one that you would have never read about or even cared about for that matter. 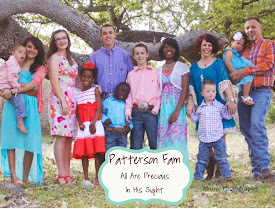 God had HUGE plans for His precious jewel, Christyn Joy ("Jewelry") Patterson, and His plans for her have been completely fulfilled. The last 7 months of our lives have been the greatest and the hardest times of our entire existence. Every second of every day since Chrissie officially joined our family on October 14, 2009, has been worth it. None of us would trade it for the world. The amount of pain we're in will not triumph the joy Chrissie brought to our family and to all those who met her in real life as well as those who only knew her through this blog. Chrissie accomplished more for His Kingdom over the past 31 days than most of us will accomplish in our lifetime. I want you to know that Chrissie battled this fight with all her heart. Seriously. Her heart continued to beat as she fought for her life this morning. Chrissie's heart was healed here, and she was determined to proclaim His healing to the world. Chrissie didn't give up her fight; God bossed her heart into perfect submission with His will. May 19, 2010, the day Chrissie would dance with Jesus, leaving this world with her forever mommy by her side as Jesus welcomed her into His arms, holding her with a Love greater than her earthly mommy's love. I know it must have hurt Chrissie to be the one to choose to leave her mommy, but she was the boss and I fulfilled my promise to never leave her, as she so boldly requested time and time again. Christyn Joy Patterson, we will never leave you, sweet girl. You will always hold a special place in each of our hearts that will never be the same. You have left your fingerprint on more lives than we'll ever be able to count. Our hearts will never be the same. Oh, how my heart aches to hold you and love you and kiss you and stare into your sparkling brown eyes and pinch those precious chubby cheeks of yours, the ones that have a dimple just below your eye, like no other cheek I've ever seen. Baby Doll, I love you so very much, and thank you, my precious angel, for forever changing my heart and my life. Thank you for the best 7 months I've ever lived, sweet love. I know you're able to see my tears streaming down my face, and I know you're telling me, "Momma no cry. Momma no boo-boo." You always cared so much about my happiness. I want you to know, Precious Angel, that mommy will be OK because your Father loves me as much as He loves you, sweet girl, and that is a love like no one can ever fathom. He will hold me and comfort me and enable me to go on living here on earth without you, but I want you to know, my love, that my heart will never be the same. And I thank you for that gift, baby girl. Your life is to be celebrated and applauded. You are one amazing warrior princess, girlfriend. I love you with all my heart, and one day, hopefully very soon, Mommy will hold your perfect hand in Heaven where we will walk together eternally, hand in hand, heart to heart, mother and daughter. There are no words that can tell you how I feel, but I want you to know that your faith has been a comfort to me, and I'm sure many others today. I do not know you, but I want you to know I've been following your blog for some time and my heart aches for you. I read the news today while at school and just couldn't believe it. How true..everything is in HIS timing...she fought hard and I'm so thankful she no longer is in pain, as she is walking the streets in Heaven. I cannot even begin to imagine what you are going through, but know there are many strangers who are lifting you and your family up in prayer and hurting for you..wishing we could take it away. I don't understand sometimes the pain that we need to go through in the life, but one thing I realized after losing my mom is that I will be ready when my time comes. Life here can be so painful that the joy of being with Jesus will be such a relief. Thank you for sharing your story, although it breaks our hearts. You are a brave mom and in the dark days that will come, hold to that promise which is ours, eternal life with Him, and with your baby by your side. God Bless. Praying. You've embarked on a journey that will stretch you in ways you never thought possible. You will likely find a deeper level of spirituality than you ever knew existed. Through it all, remember that God is good......all the time. Chrissy and Laynee are dancing together, I'm sure. Thank you God for healing Chrissie and using her life to proclaim your love and salvation to the world. Thank you for posting. I checked all day because I wanted to know you were "OK". Your post has raffirmed that although you are grieving and hurting...I know because of your faith in Him that you will be "OK'. The picture did me in...what a beautiful princess and her Mommy. One of my close friends lost their adopted daughter (5) to a fast moving illness in Nov. Their faith too has carried them on this journey. I have seen first hand what God's love can do during one of the most difficult times a parent has to face. My prayers and my heart are with you!!! I love the picture of the two of you and your sweet words for your sweet girl. She will never be forgotten. Still crying with you and praying. What beautiful words of faith and hope. Lorraine, THANK YOU SO MUCH for sharing Chrissie with us, BUT thank you most of all for being the one to bring Chrissie and Gods message to us. I am heartsick for you all but also rejoicing at the true Miracle of Chrissies life....PRAISING JESUS that she was home surrounded by people that LOVED her as only a family could.......YOU sweet Chrissie are my Hero and you will never EVER been forgotten.Proudly Bossing my Heart for Jesus! Hugs and lots of Love The very sad Nicki and Her family, QLD Australia. My heart aches for your loss. Thank you for sharing Chrissie with me. She has touched my heart. I will continue praying for your family as you go through this difficult time. Dear, sweet Lorraine. You are a gift. The tears won't stop falling down my cheeks. You have built a powerful posse of prayer warriors who will undoubtedly continue to lift you up. I will continue to offer my prayers for you and for your husband and children. Hopeful prayers that the pain isn't as hard as I think it is. Happy prayers that you and your family have inspired so many. Thoughtful prayers that somebody's life was turned around because of your faith and Chrissie's bossy heart. Thankful prayers for the chance to have shared a small part in Chrissie's short but monumental life by reading your beautiful story. I am so sorry for your loss but that was beautiful. I sit here reading your expression of love for your beautiful daughter with tears welling up in my eyes. Thank you for sharing your prayers, triumphs and heart ache with so many who are strangers allowing us to share in your prayers, triumphs and heartache along side of you. What a precious and loving picture you have painted with your loving words to your daughter. What a beautiful portrait of a mother and daughter. I had thought earlier that God did not allow Miss Christyn Joy to leave this world an orphan, He allowed her to feel and know the love of a family. I will be in prayer as you not only grieve the lost of your Serbian Princess but rejoice in her life. Treasure up in your hearts the memories of this little Angel. Thank you for sharing your words. I wish I could give you a hug of comfort right now for your loss. 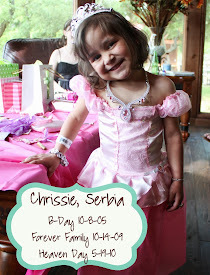 I have followed Chrissie's story since she went in for surgery and fell in love with your Serbian Princess too! You are a great mother and a child of the King. God will continue to comfort you during this time and give you peace and the strength to move forward. Your family is in my thought and prayers. I am a friend of Trisha's and the forever mommy of two little girls adopted from China. I am crying as I read your beautiful tribute to your precious girl. I pray that God will give you and your family strength, peace, rest and comfort in the days ahead. I can't even imagine the emotions you must be feeling. I do know that God had a perfect plan for you to be Chrissie's forever momma, and for her to be your forever warrior princess, and your story has blessed so many people. Thank you for sharing your journey with all of us. God bless you in the days ahead. Precious Chrissie. Praying the lord comforts all of you at this time. Much love, prayers, and hugs! You are so loved. No words are worthy enough, but just want to say thank you once again for never waivering in your faith. What a beautiful post Lorraine - I can't imagine how it felt to write these tender, loving and precious words. Our family is lifting you in prayer and will continue as God keeps you all close to our hearts! I am truly devastated to hear the news. Chrissie touched my heart at the right time. I lost the greatest love of my life, Elizebeth, and it makes me want to die. I tried my best to win her heart and communicate my true love to her, but I failed. I was so low that nothing else mattered to me. Then I found out about Chrissie. I just had to pray for her and BLESS her. I just had to speak that word of faith to you that she would come home on or before the 27th of this month. I felt it inside and I just had to speak it. I'm truly devastated, but the word did come to pass. Chrissie is home right now and she'll never feel pain ever again. She has that sweet smile on her face right now and she'll have it on forever. I don't want to go on without my one true love, Elizebeth, but Chrissie has taught me that I have to. I have to be all that God created me to be. Chrissy DID fulfill her life calling and I have to also. My prayer for Chrissie is on page 9 of the prayer book. God Bless. There are no words that I can say, just know that we are praying for you and your family. I am so sorry for your loss. Chrissie was one of a kind, and will never be forgotten. I prayed Jesus would do what was best for your beautiful daughter and as you said His plan was to bring her home today. She no longer suffers any pain and can do all the things that she wanted to do but could not do because of her heart. How wonderful for her that she had the opportunity to have a forever family and how wonderful for you and your family to have this wonderful forever daughter. My mother always told my brothers they were born in her heart not her tummy. Chrissie was born in your heart and will forever be a part of your family. I am in tears. I am just so sorry for your loss. Yes, I know she is well and happy and dancing with Jesus. Praise God for the blessed assurance that to be absent from the body is to be present with the Lord. But I also know the loss is REAL. I am praying for you and your family. I am crying right along with you, in Australia. Chrissie's influence extends right across the world, and so many people are closer to God through all that Chrissie has suffered this last month. Her suffering was truly united with the suffering of Jesus on the cross. By Him, for Him, she was created. No parent ever wants to do those things. I cannot imagine your heartache as you grieve the loss of your precious little girl. Know that you are never alone, Our Father is with you, holding you, and reminding you of his constant love. You are right, He had a plan for Chrissie's life, even though she had a short life, she is, and will forever be loved fiercely. Many, Many prayers for you as you go through the next few hours, days, and weeks that progress onto years. Hold your little ones close and Our Father closer. Prayers! God Bless you and your family in this great time of need. I am SO sorry that you have to experience this. I can't imagine how hard that was to write. You're all in my prayers today. I look forward to meeting Chrissie someday in heaven. I can not even imagine what today, tomorrow, or next week feels like for you. My heart just breaks for you. I am a heart mommy to 2 and a belly mommy to 1. You and your little angel have changed how I will love my children forever. My prayers are with you and for you. there are no words to express how much my heart aches for you!!! thank you so much for all of the sharing you have done with this blog. it has touched my life like no other. i have only been reading it for a few weeks but what i have felt in those few weeks can not be explained. God will forever dance with chrissie until you can be with her to dance!!! God bless you and your family in this time of sadness!! I have been reading since right before the surgery. I don't think I have commented until now. This made...this, what you wrote is beautiful. I am so sorry you have to say goodbye for now to your princess but but you will see her again in Heaven. Praying for your family. Count me as one whose heart has been touched and forever changed by you and Chrissie. I have been praying for Chrissie for a month and will continue to pray for you and your family. I'm so sorry. I wish there was something I could say to ease your pain. I simply cannot imagine how hard this must be. All of us who know Chirst as their Savior will one day meet your special gorl in heaven. "There will never be a time when I did not exist, nor in the future shall I cease to be, for we are forever." I have to think that God is not yet through with your daughter's influence on the world beyond your family. Your post today, alone, speaks volumes to other parents - hold the ones you love, treasure your time together. A story much like yours, last year, changed my life completely and thus I believe this story, will also change lives. That story, like yours reminds me - to love my wife and children, with a deeper and stronger love than before. Thank you for sharing in the midst of incomprehensible grief. I can't even speak, the tears come to my eyes and just hit my lap without even running down my face. This is the hardest thing ever. You were so blessed to be her mama for all of these months, and she was so lucky that her family gave her more happiness in those few short months than she had ever had before!!! I can't imagine your pain. Your family is in my prayers. Christyn journey has been amazing to follow. God used her to bring so many people together in prayer, joy, ad sorrow. We will continue to lift your blessed family up in prayers to be strengthened throughout this time. "Now Faith is is being sure of what you hope for and certain of what you do not see" Hebrews 11:1. I am sure you are hurting and I am certain that you are missing your daughter, but I have the utmost FAITH that Jesus is holding you in his arms at the same time that He is dancing with Chrissie. I pray you are overcome with peace and joy. Praying for you all. Chrissie's life has been and will continue to be a blessing to others. We are blessed because of your story. I've been following your blog now for about a month, and I can't tell you how heartbroken I felt for you this morning. She has a beautiful soul, and her life has made an impact on me and sooo many other people. We are rejoicing with you that she is with Jesus right now, but we are also praying that the Lord will give you the comfort and strength you need during this time. Lorraine, My heart is breaking for you, but I applaud your inspiring faith. Chrissie's story touched so many, including myself. God always has a plan and she accomplished so much in her short, beautiful life. Most importantly, she left this world an earthly orphan-no-more. God Bless you and your family. Your daughter is certainly smiling down on your strength and faith that you all accomplished through this journey. I've cried almost all day. I've wondered why I ever chose to read your blog. I've worried that I'll be forever haunted by Chrissie's intoxicating smile. I've ached from every part of my soul as I've dared to imagine what it would be like if Chrissie was my Gwenny or my Madeline. I've promised myself that this will be my last comment on your blog. I I I I I..... But this isn't about me. And I keep trying to remind myself of that but I'm a horribly selfish sinner. You have my deepest sympathy and my utmost respect and even though I know that neither of those things will bring you much relief at all in this terrible time of mourning, I'm sending them anyway. From one mommy to another, please know that you are not alone in your grief. Your insight into Gods love and how he knows the days of our lives is wonderful. My human heart still is sad over this loss though and as tears stream down my face I just wanted to say God bless you and your family now and in the days to come. This is a sad loss, but I am relieved that her little body is at rest. I'm so sorry. Our family is praying for your family. I'm so sorry for your loss. What a beautiful tribute to your beautiful daughter. I am so sorry for your loss. I have never left a comment before but I have been reading about Chrissy for 3 weeks. I am, in fact, a medical student in San Antonio, but I won't begin working in the hospitals until next year. I am not a Christian, but I thank you for teaching me about Christ's message from your experience. Chrissy was a lucky girl to have you as a mommy. I feel lucky to have heard her story. My thoughts are with you. As I said before....like you said now....she went knowing that she was loved. She went knowing that she was part of a forever family and waited til she was secure in that knowledge. You helped her find her heart and her God. Cherish the fact that you could not give someone a bigger gift than L-O-V-E. Remember, also, that you and your family are loved by so many (including you precious girl) who are friends, family, and strangers alike. We love you and will hold you up until you are able to stand on your own. Your family has been, and will continue to be in our prayers. Death is never easy, but it is a beautiful thing when experienced in the life of a Christian. We know what lies on the other side.... Sad to know your family hurts, but joyful knowing that Chrissie is not longer in pain, but is made whole once again. I'm so sorry. I found you right after the surgery and read your past posts. I know your words are true. Christyn's life was lived to it's fullest, and she left this world with loving parents... no longer an orphan. I bet she couldn't have been happier. I pray you are comforted by knowing that. Again, I'm so very sorry. i am on my knees praying for your family. god will provide you peace in your time of need. Beautiful! Tears are being shed for your sweet family... thankyou for sharing your journey and touching my heart. May God continued to be glorified in your life. Prayers for you, sweet sister in Christ! The love you have for Chrissie is beautiful. Her life has touched me deeply, and I mourn your loss, but find comfort in knowing you will indeed be with your sweet Chrissie again, never to be parted. 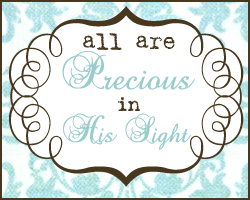 I pray Jesus will give you His peace & His strength as He holds little Chrissie in His arms. Your faith is a light to so many & Chrissie's story has touched my heart so much so that i had tears reading this. God Bless you & your family as Jesus & little Chrissie watch over you. How beautiful even when your heart is breaking- you know your Father's Love. We will continue praying for you all!!! She had the family God Planned for her- AMAZING- even if only for a while....she was cherished more than words can say. That you can tell easily through all of your posts! I have been praying for Chrissie and was devastated to read the post this morning. My prayers are for you and with you. I have been praying for Chrissie. I was devastated to read the blog this am. My prayers are for you and with you. 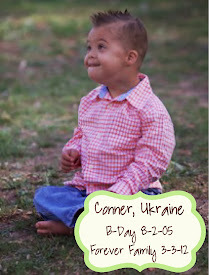 What a wonderful tribute from a loving and devoted momma to a truly sensational child. 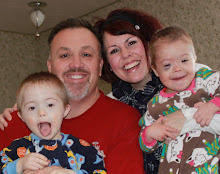 Thank you for sharing Chrissie's life with us via your blog. It is amazing the strength that God can provide during our time of trials, during our times of feeling helpless... but you and your family have been absolutely the strongest example of Christian faith, hope, and love. During all this you took time to share Christyn with us. It was a honor to read what you shared and support you all in prayer! We will continue to pray for your days ahead. Chrissie has touched my heart and soul!! Thank you for sharing your Serbian Princess with us!! She grabbed a piece of my heart right through the computer screen. I am in tears. What a beautiful little girl. I am so glad that she had a loving family by her side during her last months on this earth, so that she can rejoice and forever be a part of your family while she dances in heaven. God bless you all, as I know he already has been and is doing. Thank you for sharing your beautiful princess with all of us. Words can't express our sorrow for you. We know that God can and will fill you with that peace that passes all understanding. Your family is an inspiration and a blessing to so many. We pray fervently for your peace and for God to hold you in His hands as you walk this path. She is dancing with Jesus. She is healed, never to be in pain again. She is laughing. She is loving. She is worshiping her King. I know this probably wont help ease the pain you are feeling, but I want you to know that this really is what your little princess is doing. I can imagine her laughing while running in a field of daffodil, wearing a pink dress with a big white bow. Alongside her runs many other children, also laughing. Oh, your princess is now so happy with her king, her king who called his princess home. I do not know you, and had not heard about your daughter and her battle until today. I sit here in tears, at your loss, her new happiness, her time spent with a family and NOT an orphan. 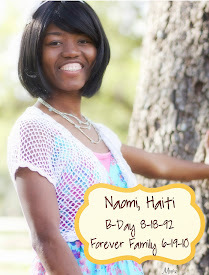 I have 4 Haitian Sensations of my own, and know that losing them would absolutely break my heart to no end...I know God will Bless you with his Love and her memories, which are all wonderful. Dear Lorraine, I am wishing again right now that I could give you a hug even though I've never met you in person. More than that, I am wishing with everything in me that I could somehow make this not real so that Chrissie could still be there with you all. At the same time, I am grateful that she is no longer struggling with lungs that won't function perfectly, or clots, or unhealthy Co2 levels or infections or heart issues. I can't imagine the anguish your hearts feel right now--mine pales in comparison. I just wanted to thank you for answering something I'D wondered about today but was in no way about to ask! You stated that even IF you all had chosen to NOT bring Chrissie for surgery, that she would STILL have left this earth on this appointed day. I wondered about that but then I thought, it makes perfect sense that when the Lord calls a person Home, that day is going to come no matter WHAT setting we are in! NO!! That is what I screamed when I read this. I hadn't "checked in" today! I hadn't spent time to Pray for Chrissy. My heart is broken. I was deeply saddened to hear the news about Chrissie today. I am so sorry for you and your family. This is a truly inspiring post. I pray that your faith continues to be strong and that God holds you and comforts you like no other can. Beautiful words for your sweet daughter. 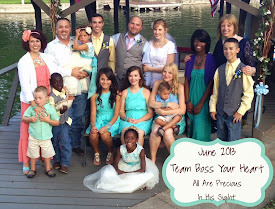 I am so glad Chrissie was blessed with the chance to feel the love of a forever family. I am glad you were blessed with her! I am so, so sorry your precious Chrissie has left this earth...but oh so thankful that we know exactly where she is! I am praying for you tonight and will be in the days and weeks to come. Your faith is an inspiration. I am sure it is going to encourage so many. Thank you for giving us the privilege of praying for your Serbian Sensation! I am visiting from another blog and wanted to tell you how very sorry I am for your loss. May God comfort you. Your precious daughter sounds amazing! She is enjoying dancing with her loving Father now in Heaven. I want to tell you how very sorry I am to read of Chrissy's passing. What a beautitful little angle she will be. I am so sorry for the loss your family is fealing. So beautiful. I've prayed and prayed for you all since I started following (day of Chrissie's surgery) and she has totally inspired my to have a stronger relationship with God. 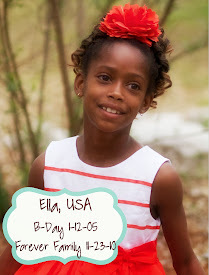 At four years old, she made a bigger footprint on this planet the most presidents! You were very lucky to be her mommy. God really did have a bigger plan for her. She is so lucky to be dancing with HIM tonight. Some day I will get to meet this amazing little girl, but until then, I will continue to pray for your amazing family, and hopefully your pain will soon cease. Take care, and simply cry. Thank you for sharing your beautiful Christyn with the world. I wish I had the faith that you do, but I don't. But I am so so glad that you do. Peace to you and your family. You are a blessing. I know there are no words that ease the pain you are feeling right now. Praying for peace for your family. Chrissy's fight and your ability to use this blog to do the Lord's work has absolutely amazed me. I don't know how to pray or how to talk to the Lord, but many times while reading your blog, I have had conversations with God and I have found how to "hear" him and talk with him. Her life was NOT in vain. I know your hearts are broken, but her life and her fight has affected me and has changed my life forever. I don't know how (that is not true-I know exactly how) but your words spoke directly to my heart like God was talking to me-telling me that I am worthy, that I am able to live a Christian life. I have always felt like I was not good enough or worthy enough to be in the presence of such good, Godly people like you, but I feel like Chrissy pulled me closer to God and He has told me that I am one of his and that makes me good enough. I can see little Chrissy just dancing and laughing and I can see Jesus telling her what a good job she has done here on Earth and he is showing her how many lives she has affected in her short time here. Thank you so much for sharing your lives and your heart on this blog and I pray that you find peace in all of this. 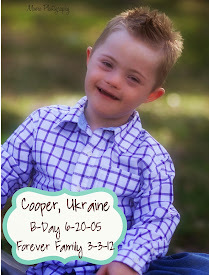 I am adopting two little boys from Ukraine with Down Syndrome and I thank you from the bottom of my heart for making me feel like I can and will show them the right way to live. God bless you and your family! Absolutely beautiful. You have amazing faith. Many blessings to you and your family. Thankyou lorraine for your honesty...I haven't been able to get your family off of my mind today. So, today has been a day of praying without ceasing. What a special little girl. I am so glad God gave her to you. That she had a chance to be part of a loving family here on earth as well. I will continue praying for you.God Bless you and the rest of the Patterson clan! I know it's all how it's supposed to be but it doesn't make a mother's heart not hurt! Thank you for sharing your heart, and your words with us. We mourn with you... God bless your family. I am so sad for your family at the loss you are living with. I am however grateful that you had Chrissy to lose and cherish and hug. Thanks for sharing your stories with us! Please remember to hugs all the children at home. I have followed your families process from the start of your adoption for Chrissie. I feel as though I have also lost a member of the family. This little girl was truly amazing. Although I'm almost 48, I want to be you when I grow up. You're a way better Christian than I might ever be, your faith is beyond words and without boundaries. There are many lessons to be learned thru all of this that I am certain of. Thank you for allowing all of us, most of us strangers to you, to be a part of your "family" for a while at least. To love your daughter like one of our own, to pray for her, to allow her to teach us all lessons in strength, love, courage, determination, commitment and of course devotion to God. Thank you for your honesty of raw emotions that you are going thru right now. We are all hugging our loved ones a little tighter, a little longer and maybe just maybe will learn to live every moment of life in a better way. Thank you and my sincere gratitude and admiration to you and Matt. So sorry for your empty arms and the huge pain in your hearttonight having to good bye to your precious princess. What a beautiful picture dancing all smiles in heaven with her Jesus. May God's loving arms hold you tight as you grieve this huge loss. Chrissie and her story have been such a blessing to so many. Thank you for sharing your journey with us and for allowing us to pray for your precious girl. May God envelop you with his healing touch. I am sorry for the pain of you and your family at this time. I found you via building the blocks. The picture of you and your daughter is precious. My heart is breaking for you and your family. You will be in my prayers. Thank you for sharing these last 30 days with us. Thank you for letting us get to know the wonderful Serbian Sensation. She has truly touched my heart and blessed me. Your faith is amazing. I admire your courage and the deep, unshakable love you have for our Lord. This has absolutely taken my breath away. I sobbed as I read the news. As a life-long Christian it is hard for me to understand. But, I know God's plan is so much better than ours. I know God loves that little girl more than anyone could imagine. God used her in ways that we'll never comprehend. She was a special, special little girl. I knew it was a miracle when her CT came back normal. But as I was praying for you, God just laid it on my heart that he CT was normal so that Chrissie was never alone. She KNEW you were there. She KNEW her Momma would never, ever leave her just as you promised. She went from your loving arms, right into her Father's loving arms. She was never, ever alone. Thank you for sharing your daughter with us all. 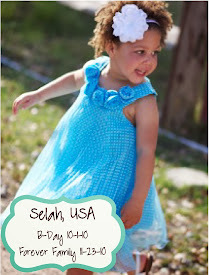 I feel like I know her and it's amazing how much you can love one little girl just through a blog. Much love and many many prayers. Our dossier submission date is Oct 14 of this year. I will remember to pray for you on that day :) What a special day it is. I have cried so much for you today. I know Chrissie is dancing with Jesus, but you are the one left without her. Thank you for sharing her story. I am so sorry to hear about Chrissie. I've been following her story and praying for her. It's so hard to keep an eternal perspective when things like this happen but somehow you are doing just that. I know you will be with your sweet girl again and that she will be enjoying her dancing in heaven until you are there to dance with her again. Hugs to you and your family. 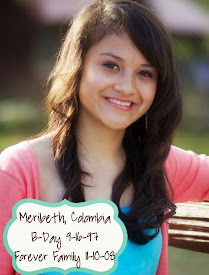 Your words have ministered healing to my heart as I weep and mourn for your sweet girl. She has touched our family's heart deeply and we too will never be the same, Praise God! Thank you for your faithfulness to God and to Chrissie! Thank you Chrissie for teaching us how to truly live! I am honestly in awe of how well you are able to write out your feelings at this time. You are comforting me...US. God's plans have always been to bring Chrissie home on this day. Oh how I long for Heaven!! Chrissie HAS touched so many lives...and changed hearts. Literally. I love the phrase "boss your heart"
and Mommy- you must boss your heart for your sweet girl who waits for your turn to meet up with her and Jesus. So thankful that you shared your Serbian Sensation with us. So thankful for HOPE and for His promises. You and your family are in my thoughts and prayers. Thanks for sharing. sending my love and prayers. I can not even fathom the pain you are feeling. Will pray for you and your family! I have followed your journey for the last month, always opening this page with prayer. I am sad for your loss, it must be awful for a mother to say goodbye, thankfully I can only imagine. Even with our saviours eternal promise, the grief will come, hold on to those who love you. Your family is in my thoughts and prayers, Chrissie touched more lives than you ever will know. I don't want you to either. I've checked back in over the day today, wishing to read something different from the words I first read this morning. I so wanted Chrissie to have many years to experience the love of her family. It's wonderful that she had the months that she did to be showered with your love. I'm so sorry for your immense loss. I hope I will not be alone in donating to Reece's Rainbow in lieu of flowers. 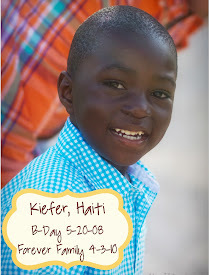 Let's help some other orphans find their forever family in honor of Chrissie! Beautiful, beautiful post. I hear the pain in your words, and I wish I could take it away. I wish somehow we could bring her back. I know she will be greatly missed. How beautiful, she did not die an orphan. Her greatest wish fulfilled, to be loved. I'm so sad to hear your beautiful daughter has gone to Heaven so soon. Bless you for sharing so much of your story and Chrissie's wonderful life with everyone! You and your family are in my thoughts and prayers. Thank you for your strength, your openness and for knowing that today we are all sobbing...but the angels are singing. You do not know me but I have been following your blog and praying for you and your family each day. I am so very, very sorry. You will need time to decompress and grieve. God has designed a process that we all must walk through in order to be able to go on and live out the days that are still perfectly numbered for us. I will continue to pray for you and your dear family. Please let us know how your husband and children are doing. All of you have done the most wonderful, obedient thing. 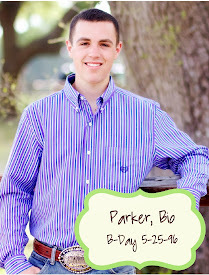 This dear child left this earth as a member of a real, Jesus loving family. She had a mommy and a daddy, grandparents, aunts, uncles and a bunch of siblings to pour so much love into her over the past few months. I am sure our Father in Heaven is very proud of you. Well done. May you have rest and His unexplainable peace. I am so sorry to hear about Chrissie. I have been reading your blog and praying for healing for her. I just didn't expect the ultimate healing. You don't know me, but you and your family and your precious daughter are in my prayers. May you feel Gods love around you even in your darkest hours. May you feel all the prayers that are being said for you and your family. My sincere sympathy to you and your family. When I opened your blog this morning I was so sad for you but happy for Christyn. Praying the Lord will comfort your heart. I can't even explain to you how I understand. Even though our adoptions were different and the places they were born were different, there were so many things that happened that were the same. My Carmen had open heart surgery when she was 1wk and 2 days old. She never left the picu and at the age of 37 days she went home with God. As I am typing this I am crying because my heart is with you. I know this pain all to well and it's still there and it has been two years. Lorraine, there are times at night when I am sleeping that Carmen comes to me in my dreams. She shows me she is safe and restored. This morning when I found out Chrissie died, I said a prayer that she finds Carmen and dances with her. Carmen and Chrissie will be friends. I just know it. They are now with our Father. God bless you for what you have done for Chrissie. Oh, Lorraine this post is so true! I just wanted to write to let you know how grateful I have been for your family and Chrissie. Because of her I have been looking for more miracles in my life. I have been striving to live my life with the faith you have shown all through Chrissie's time in the hospital. I have been trying to let God fill my heart with the kind of love that she must have had for you to stay with you so long after her first "death." 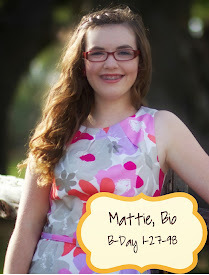 When I first found your blog (right after Chrissie "died,") I immediately went deep into prayer for you and Chrissie. Through spirit, I envisioned Chrissie sitting outside of her body at the time. She told me "I am going to show my mommy a miracle!" I had been hoping the miracle would be the one that we had all been praying for, that you would be able to carry your sweet baby out of the hospital in your arms. But she was definately right about her miracle. She showed all of miracles over and over again. I am honored to have been a witness. Please take your time in grieving and honoring Chrissie's time with you on this earth. God will heal your heart and make it larger through your grief, but it is a process that will take time. I am so very, very sorry, I cannot imagine the heartache you are feeling. Jesus holds her in his arms, and she left here being someone's baby girl forever. Thank you for sharing your private thoughts and your beautiful daughter's life with us. Your heart is amazing and I'm praying for you to have your heart comforted. Words to an old hymn just came to me, "When we all get to heaven what a day of rejoicing that will be..." Chrissie is rejoicing already but one day we all will be rejoicing with her. I'm praying for peace in the midst of this painful loss. I would like you to know how much your precious daughters story meant to me. I read your blog everyday and your words about her touched my heart. Chrissie taught me how to be a better person and how to trust in the Lord with all my heart. I feel i was supposed to read your blog so that i could find my savior again. Chrissie was such a strong four year old and I felt like even though I never met her she was placed in my life to teach me something. Your amazing daughter taught me more in a month than I have learned in my 16 years of life. She placed in my heart a feeling I have never felt before. A feeling of true Love for the Lord. I am truly blessed to have "known" this little princess, even if it was for just a short period of time and reading about her. My faveorite song is "Mighty to Save" One of the verses is " Our Savior he can MOVE the mountains, He is mighty to save, he is mighty to save." Tonight after reading this blog I realized the true meaning of the words. Our Savior IS MIGHTY to SAVE. And He will save us no matter what. I realize that when the Lord Makes someone sick he is placing the opportunity in their heart to go to him and ask for help. Chrissie, on the other hand, already had his love and his help, but our Lord made her Hospitalized to that people could be able to see how he truly works. Thank you so much for writing this blog everyday it meant so much to me and I will have your family in my thoughts and prayers. Thank you again! Lorriane thank you for sharing Chissie with us. There really aren't any words to express my sorrow. I look forward to the day that I get to meet sweet Chrissie. You are truly an inspiration of faith. I am greatful to have met you. I have been following your story for several weeks. I was more than floored when I checked today since I just was on last night. My heart is broken for your loss. Thank you for sharing your needs, God's miracles and your faith. We will be in prayer for you these next difficult days. "Thou He slay me, yet will I trust Him." "By my God I will leap over the wall"
We've never met, but I wish I could put my arms around you and hug your neck and tell you what an inspiration you are to me. I am continuing to pray for your family just as I have for the past month. What a comfort it is to know that our Father will catch our every tear that we shed as He gives the ultimate comfort. Beautifully said for such a beautiful little princess - His princess. She has been made whole now but I so wanted her to be healed on this earth and rejoice in the miracle God had completed through her life. But I know He completed many miracles through her life and through her struggles and will continue through your life. There are no earthly words to comfort you through the loss of YOUR daughter but I pray you rest and that our loving God will wrap his loving arms around your family during this time. Anyone who read your blog - and I read it from the beginning (staying up all night to get caught up when a friend told me about your Serbian sensation) and I looked everyday, several times a day for updates on your little princess...but anyone who read your blog was blessed, thank you for sharing Christyn with us. I love the picture of her sleeping in your lap - it looks like her hand is covering your heart like she is praying over you - I know she is from her heavenly palace! Thank you for sharing Chrissie with us. She has touched and blessed so many. I will never forget your sweet Serbian Princess. My deepest sympasthies are with you and your family. I can see Chrissie dancing with King Jesus - she is an heir to the kingdom. Much love and prayers. Our hearts break with yours. Thank God we have a Savior that can sympathize with us in all our trials. We look forward to seeing Christyn someday in God's new creation, too. May the God of all peace and comfort be with you all! weeping with you, and praising God for Christyn's life. She has touched our lives here in MN. What amazing earthly love you showed her here Lorraine as her Mommy. I weep for you knowing Life just got a whole lot better for Chrissie. Before we will even be able to bat an eye, you will be dancing with her in heaven. Maranatha, Marantha! Please Come quickly Lord! Chrissie has touched so many people in many different ways and I just want to thank you for sharing your beautiful Serbian Sensation with us! Praying for peace and comfort for all of you. You have described your daughter so beautifully and I feel as if I had known her from your blog. My heart goes out to you and your family...I am sooo sooo sorry for your loss. What a beautiful guardian angel up in heaven! My heart aches for your loss but dances with your sweet words. Your beautiful daughter will remain in our hearts forever as we followed your journey. And your strength, your faith, will be a testament to many of how our Lord loves us and lifts us up. My prayers are with you all as well as Christyn. My heart and prayers go out to you. I read this with tears streaming down my face. Thank you for sharing Chrissie with us. We loved her too! I know this inspired me to make sure the other children that still need a forever home get one. Your love and faith are such a powerful testimony of the strenghth of God in your life. He will hold, carry, guide you through this and our prayers & love go with you and your family. I started reading your blog about 2 days ago. Wow! God loves you so much, and you love God so much too! It is humbling to read your words. My burdens seem so trivial in comparison; however, I know that God uses our particular burdens to refine us. Anyway, I was lead to the Bible in my thoughts of your day and how painful it must be for you and your family. I am using The Message. The first verses are from Philippians 1:9-11. "So this is my prayer: that your love will flourish and that you will love not only much but well. Learn to love appropriately. You need to use your head and test your feelings (ie,. Boss your heart.) so that your love is sincere and intelligent, not sentimental gush. Live a lover's life, circumspect and exemplary, a life Jesus will be proud of: bountiful in fruits from the soul, making Jesus Christ attractive to all, getting everyone involved in the glory and praise of God." The second set of verses is Colossians 1:9-14. "Be assured that from the first day we heard of you, we haven't stopped praying for you, asking God to give you wise minds and spirits attuned to His will, and so acquire a thorough understanding of the ways in which God works. We pray that you'll live well for the Master, making Him proud of you as you work hard in His orchard. As you learn more and more how God works, you will learn how to do your work. We pray that you'll have the strength to stick it out over the long haul--not the grim strength of gritting your teeth but the glory-strength God gives. It is strength that endures the unendurable and spills over into joy, thanking the Father who makes us strong enough to take part in everything bright and beautiful that He has for us. God rescued us from the dead-end alleys and dark dungeons. He's set us up in the kingdom of the Son He loves so much, the Son who got us out of the pit we were in, got rid of the sins we were doomed to keep repeating." These verses illustrate how you have been living out your life. I know that you do it by God's grace and through His strength. Again--God loves you, and I, a complete stranger, am humbled to be touched by your journey. Lorraine, You are one amazing women, your strength astounds me! I am 15 yrs old and its not often a teenage gets so touched by a 4 yr old girl but I can tell you no she has changed my life in so many asspects. She is watching over you and smiling, i can feel it in my heart. Thankyou for bringing so much joy to my life, Your sweet girl tought me to boss my heart, you tought me to have faith. I thankyou for touching me and being Chrissies for ever mommy. I am so sorry for you loss. Thinking of you always. Praying for you and the rest of the family as you walk these next minutes, hours, days and weeks one step at a time. You don't know me and I know you by my daughter, but I followed your precious daughter process since surgery thru my own daughter and praying for her and for you every single day. Today, when my daughter told me that Jesus came for Chrissie my heart got broken, but reading your blog all that sadness came out in tears, I'm a mother, a grandma and a greatgrandma. Your "I don't wanna"... make me feel like a grain of sand. You are truly blessed. God couldn't give to your beautiful baby a better mother, a more faithful and beautiful mother. He gave you your Serbian Sensation to bless your family but at the same time He gave her the best mother he could find for such a beautiful princess. I read your writing over and over and watch your picture with that little angel again and again because your faith impressed me so much. God bless you and the rest of your family forever and I can tell you that I will keep you in my prayers forever too and I know that Our Lord will boss your heart and will pour all kind of blessing over you because you deserve it! I don't know you, have never been blessed in knowing your daughter, and can't remember what led me to your blog. What I do know is Chrissy's story has touched my heart immensely, and your courage and strength has inspired me to be a better mother to my own children. Chrissy was soooo brave in her plight, and am very moved by your love for her, her forever mommy. This story has made me quite emotional, it seems that I can't get her beautiful face out of my mind. What a joy is was for you and your family to find her, and an ever bigger joy in Chrissy knowing that she was truly loved...and there is absolutely no better feeling than that. You, your family, and Chrissy are in my thoughts and prayers in this time of deepest sorrow. My heart cries out to you for finding the strenght to go on...I can't even imagine the pain. May God bless you. Lorraine, I didn't know you before I began reading your daughter's story. My heart is breaking for you and your family. You have shared this journey with us and for that I am eternally grateful. I cannot imagine having not "known" your daughter through your posts. You are absolutely right - God made certain your princess did not die an orphan. I am reminded of a song, that you have probably heard before, that I think you will appreciate. It's by Avalon... "Orphans of God"
Oh, my heart is breaking for you. Such a beautiful little princess, gone too soon. I wish I had words of comfort for you, but know that I'm thinking of you and your family. Lorraine - that as a beautiful and amazing post. We continue to keep you and your family in our prayers. God Bless you. I don't know you, but I have been following your blog for sometime now. Thank you for sharing your beautiful words written to your baby girl. I know no one can ever take away the pain your feeling now, but know there are pure strangers out there who are saying prayers for you and your beautiful family. I'm so very sorry for your loss..Blessings and prayers to you!! Your family is in our prayers. My heart is breaking for you. We will be attending your Angels funeral. Mark Ross, Brenda Samford Ross and Tyler Browder. Chrissie has been such an inspiration to so many. Thank you for letting us follow her amazing story. I am the forever Mommy to three children from China and every moment with them is a gift. Although your time together on earth was short, what blessing it was that you found each other and she knows the love of a family. Praying for strength and comfort for you all. My dear friend - I love you. I am heart broken with you and rejoicing with you. I have never felt this depth of empathy and sympathy before. I didn't know that my heart was in need of surgery too, but now I see that God had some circumcising of my heart to do as well. Thank you for being an instrument that he has used to cut away what was callused. My prayers are still constantly with you and the family. I was up for hours last night, praying for all of you. Your precious girl will be dearly missed. I am so very grateful that she had a mama and a daddy and brothers and sisters who loved her dearly. Praying for you all. May He give you supernatural strength and peace. She is dancing with our beautiful Savior, and one day you will be with her again. My heart aches for you and your family. What a sweet girl and such an incredible fighter. I will always remember Chrissy. My daughter will have additional heart surgeries and there will never be an appointment or hospital visit that I won't have your daughter in my thoughts. We will continue to pray for your entire family as you begin to heal. God bless you all. You have me fighting back the tears here, Lorraine. So sad and heartbreaking, yet I never even "knew" Chrissie. My mom, who I've just Told about Chrissie and her heart troubles cried when I told her she had died. I can't imagine the heartbreak you all are in. Thinking of you and holding you tight as you walk through this journey. Praying and thinking of you now and always. Such a beautiful post, Lorraine. Chrissie was such a shining star to so many. I'm sure she's one of the brightest in our heavenly home as well. I just want to say Thank You for sharing Christyn with us. I doubt that I will ever forget her and the impact she has made on the world. I just wish we on this earth could understand more of how God works. I am so sorry for your loss and so thankful for our Jesus who dances with Chrissie today! We lost our darling daughter Lydia, who was adopted from China at age 1, on February 24, 2009 to Acute Myeloid Leukemia. I completely agree with you that our days are numbered by God, and that Lydia and Chrissie were meant to be with the family they were with, even though their life appears so short...the blessings Lydia bestowed on all who knew her are immeasurable, and just like Liddy, Chrissie will forever be in your heart, until you see her in Heaven. Your post is so beautiful, inspiring, and glorifying to our Lord. We lost the son, Carrick, that we were adopting from China 2 months before we traveled to bring him home. 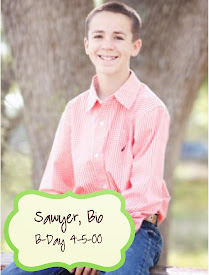 It broke my heart to not be able to bring him to our home, and the only way I could get through it was to imagine with faith the wonderful and perfect home he was now in with our heavenly Father and Savior. Running and playing and enjoying the healing and freedom of a body without sickness, weakness, and imperfection. I still miss him, as you will miss your daughter, but I know and trust that it is only a brief separation and that we will be reunited for a time that will make this life seem like a blink. Much love and prayers from our family to yours. This was an amazing post. Thank you for sharing your faith. May you feel surrounded by His love as you mourn for your precious daughter. Hi. I am so sorry for your loss. Your words cut right through. Your list of Don't Wanna's made me cry and see how blessed your family is to have Chrissie. I love how you call her your Serbian Sensation. From what you've written, I believe she truly was sensational! I am so sorry for your loss. I am just a 13 year old girl, who you have never met before. But Chrissie, and your family's story, has brought me closer to God. Your faith is amazing. I cannnot even begin to imagine how painful this must be for you guys. I am still praying for your family, as I have been ever since Chrissie had her open heart sugery when I somehow came along your blog. Thank you so much for sharing your Christyn Joy with us. And Chrissie, you are dancing in heaven with your Father now which is great. You are an amazing little girl and you fought so hard! You are my inspiration! You have touched so many people in your 4 years of life than many ever will. How great is that? You are my HERO. You will never, ever be forgotten and you have changed so many lives. My heart is aching for everyone that knew Chrissie and can no longer see her again until they are in heaven. Just remember, everyone, Chrissie is watching over you. Christyn Joy- her name describes her. She has led me to become closer to God and realize what it might mean sometimes to be a Christian. Thank you Chrissie, for showing the world that God is here, watching over us all and that he has a plan for our lives. Thank you Lorraine for sharing Chrissie's story with us. It really has touched me. God bless you all. Sabrina, a reader in Kentucky. I am the moderator of a small prayer group in Wisconsin, and heard about Chrissie on KLOVE through Larry Wayne's show. We have been praying along with everyone else and our hearts break with yours as you say goodbye (for now) to your Princess. We will continue to hold you in prayer and may His comfort be with you as you grieve.